Consolidate Glass Holdings family of companies include, J.E. Berkowitz, Solar Seal, Columbia Commercial Buildings Products, Global Security Glazing, Dlubak Specialty Glass Corporation, and NASG Holdings Inc. In the school market, glass safety and security are important topics for parents, school boards, law enforcement, and all professionals involved in the design/build industry. Global Security Glazing can educate you on the capabilities of specialized glazing solutions. Recognized around the globe for quality and highly engineered products, LEXGARD® Laminates has the product and solution for your security glazing challenges. LEXGARD® products combine polycarbonate with polyurethane interlayers to achieve various levels of resistance to ballistic and physical attack. Exposed polycarbonate surfaces have an abrasion resistant surface. All of our products are certified and fully tested to meet specific standards and threat levels for ballistic, attack, and blast resistance. Bullet Resistant products are UL listed and tested to a wide range of “no-spall” protection levels. Forced Entry products have been tested by the most recognized specifications in the Detention industry. The chart below provides a quick reference for product choices. Find out more about our LEXGARD® products and see why we are the industry leader in security glazing. Global Security Glazing provides Armor-Gard™ bullet resistant products for protection against a wide range of ballistic threat levels. All Glass products combine multiple layers of glass and polyvinyl butyral (pvb) with “no spall” protection and UL Listings for various levels of protection. 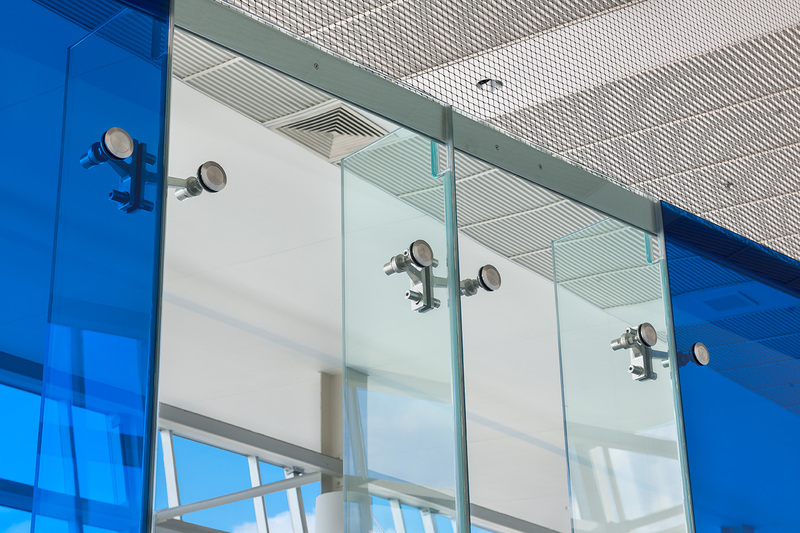 Secur-Tem + Poly® products combine the durability and abrasion resistance of glass on the “attack” side and the impact resistance of polycarbonate to the “witness” side, providing thinner and lighter products with “no spall” protection. J.E. Berkowitz, Solar Seal and Columbia Commercial Building Products, part of Consolidated Glass Holdings, Inc. family of companies, can offer you support with our wide-range of product offerings. Our product line of Invisiwall Glass Systems offers the beauty and visibility of glass in an attractive All-Glass Door and Entrance, Interior Office Space, Glass Canopy, Point-Supported Glass application, Shower Enclosure, Glass Balcony, and Handrail.